Traditional landscape art attempts to open windows onto the natural world, capturing and arranging its most forbidding and beautiful beautiful aspects on a square of canvas. 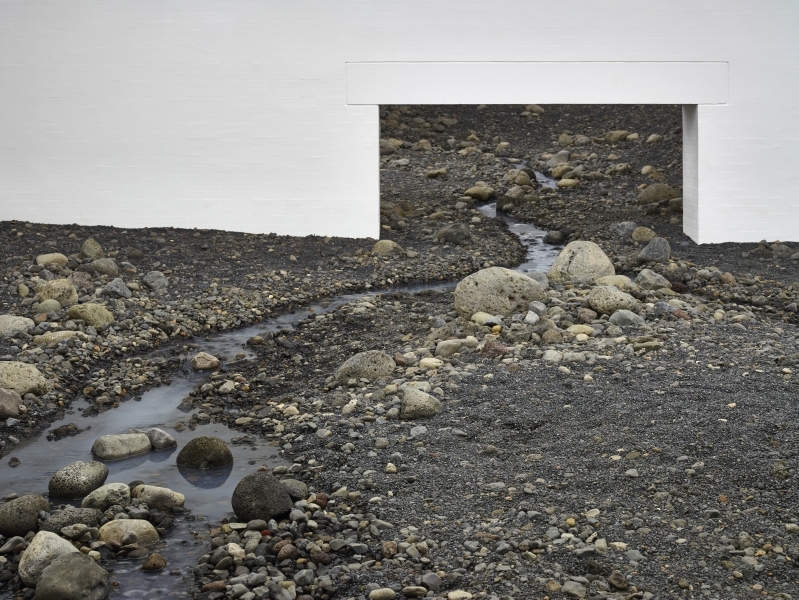 More recently, land artists such as Robert Smithson and Nancy Holt tried the opposite, stepping outside and fitting their art to the shape and scale of the land itself. 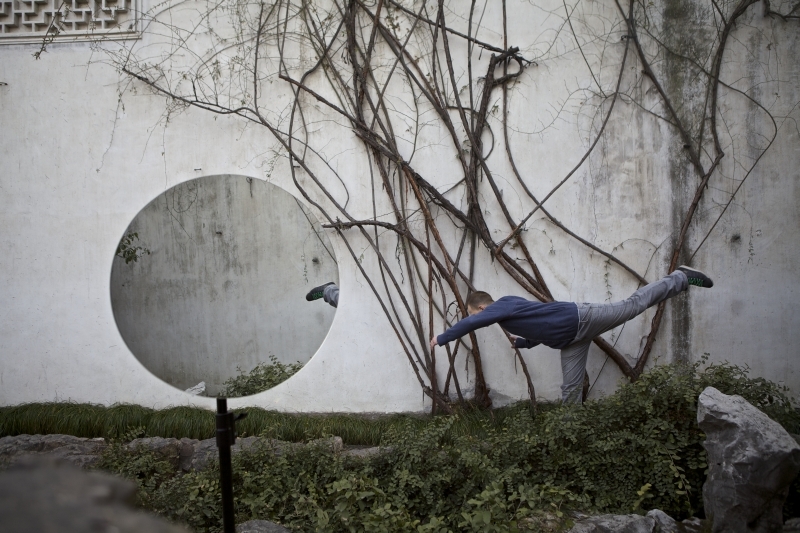 Olafur Eliasson has tried something else. 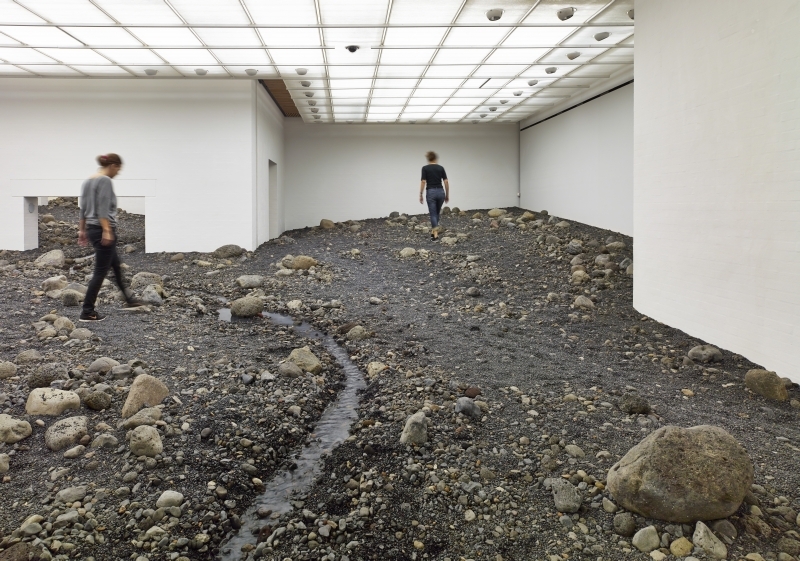 For his latest site-specific project, which opens on 20 August, the artist has transformed the entire south wing of the Louisiana Museum of Modern Art in Denmark into a convincing riverbed – a messy, stony accumulation of sedimentary rock and watery channels that threatens to silt up the white space of the gallery entirely. The result is an uncanny collision of manmade and natural views, and a Sublime reminder of the slow power of nature to erode, overwhelm and erase its own features (and civilisations’ with it) over time. 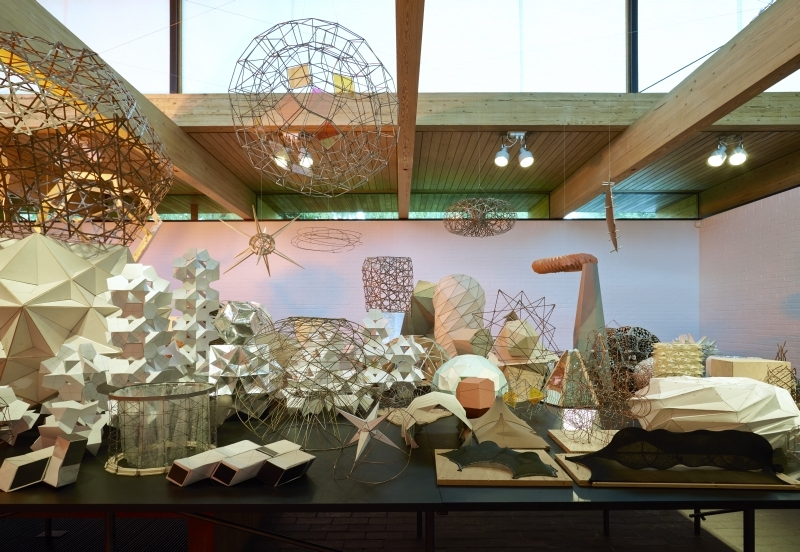 The exhibition isn’t entirely given over to nature; a ‘Model Room’ showcases a series of the artist’s geometric maquettes made in collaboration with Einar Thorsteinn, and a set of Eliasson’s films will play in the cinema. 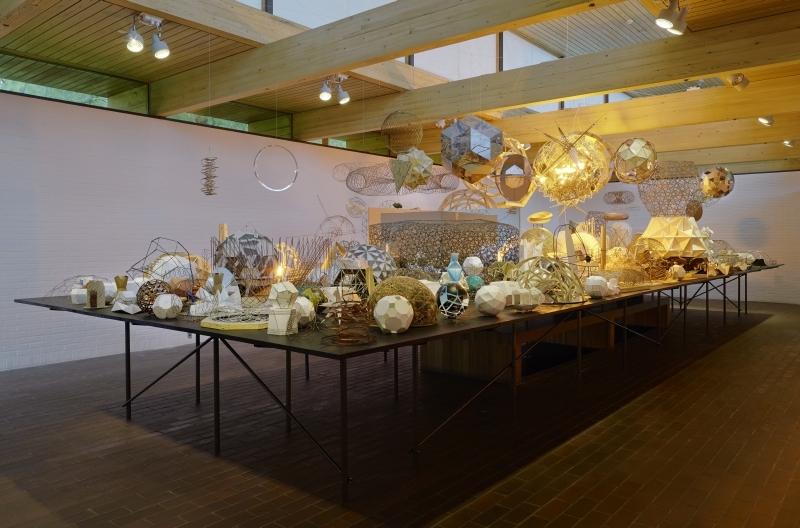 But an installation on this scale is always going to be something of a showstopper. 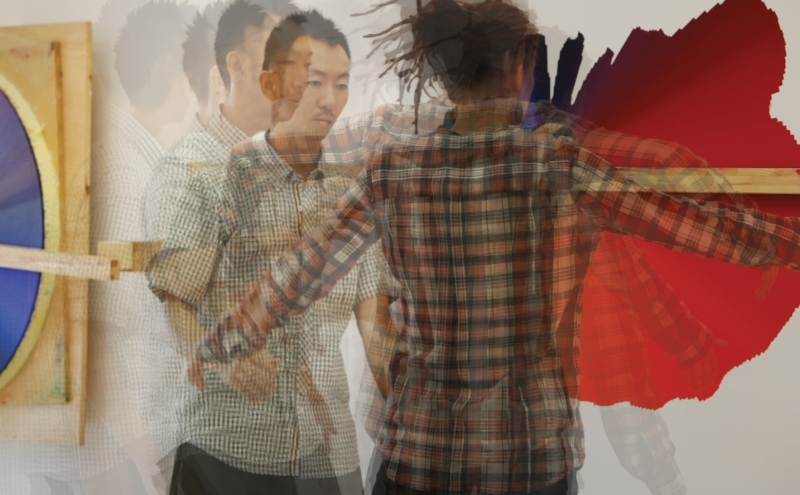 Click on any image to open the slideshow, for an early look at the new work. 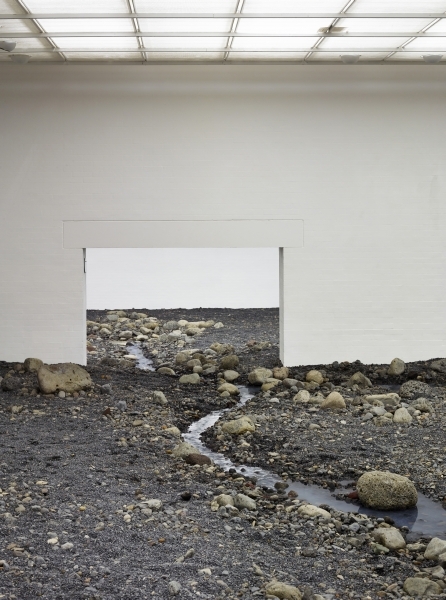 ‘Olafur Eliasson: Riverbed’ is at Louisiana Museum of Modern Art, Denmark, from 20 August 2014–4 January 2015.